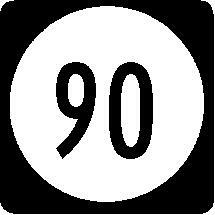 New Jersey State Route 90 is a short east-west highway in Camden-Burlington Counties. It was to connect to a never built freeway in Pennsylvania. 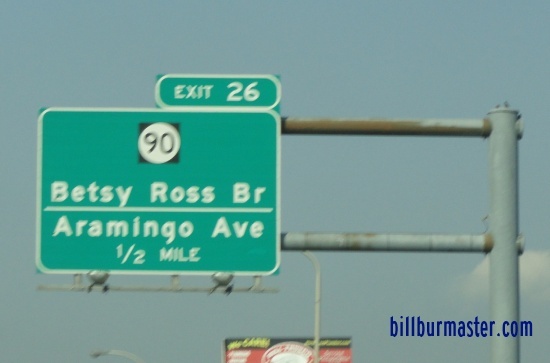 It crosses the state line on the Betsy Ross Bridge, and runs to New Jersey State Route 73. NJ St Rt 90 passes through the following town in Camden-Burlington Counties. NJ St Rt 90 is not multi-plexed in Camden-Burlington Counties. NJ St Rt 90 intersects the following highways in Camden-Burlington Counties. U.S. Rt. 130, near Delair. New Jersey Stat Route 73, near Jordantown. A BGS on SB I-95. This is in Pennsylvania.